An older club hut, last of a kind. Opened in 1956. Unfortunately close to a road end, so popular with people wanting somewhere to drink. Sleeps roughly 6 - 10 on a platform. Though it has been known to sleep up to 25 with trampers sleeping on the concrete hearth. 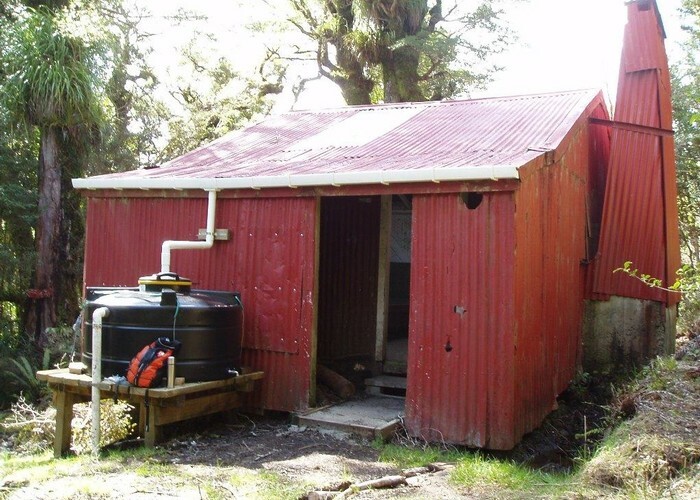 Built by the Wellington Catholic Tramping Club. Renata Hut • By mantis. Licence: C.
From Waiotauru road or up from Otaki Gorge. Added 15 May 2009 by HaqiiHaqii. 1 revision 26 May 2009 by HaqiiHaqii. 165 views in the past year (14 per month).